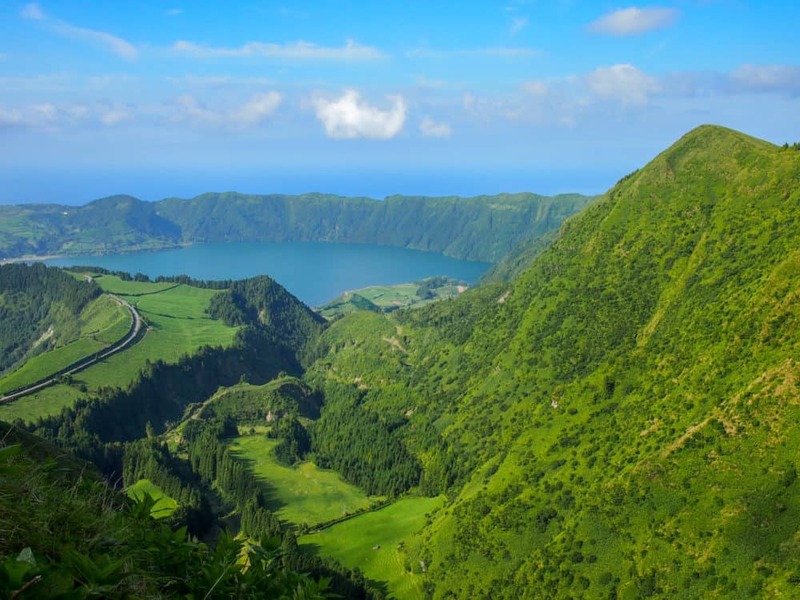 When it comes to under-rated destinations, the Azores is somewhere right near the top of the list. 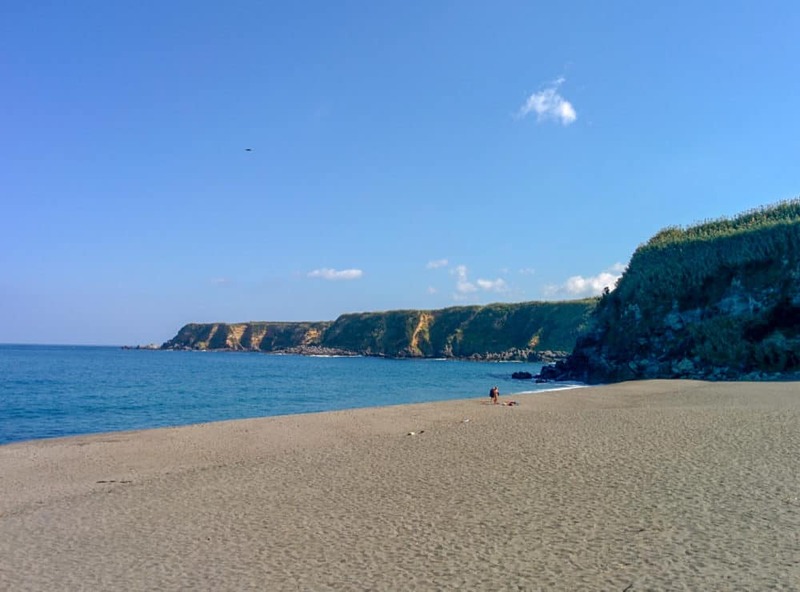 I knew little about this group of nine volcanic islands halfway between North America and Europe myself, until some Portuguese friends started talking about it one day. The archipelago is officially part of Portugal, and has incredible food, lush landscapes, great beaches and hiking, and spectacular viewpoints over lagoons, valleys, and endless ocean. As I discovered, the largest island of São Miguel also happens to be the perfect spot for a bit of road-tripping. Warmed by the Gulf Stream, there isn’t really a bad time to visit the Azores either. It rarely gets particularly hot or cold, and typically sits in a very comfortable 16-25 °C (61-77 °F) range year-round. Despite all that, it’s one of those places you hardly hear talked about. It rarely appears on travel shows or in glossy magazines, and hardly anybody else I know has been there. That really needs to change. 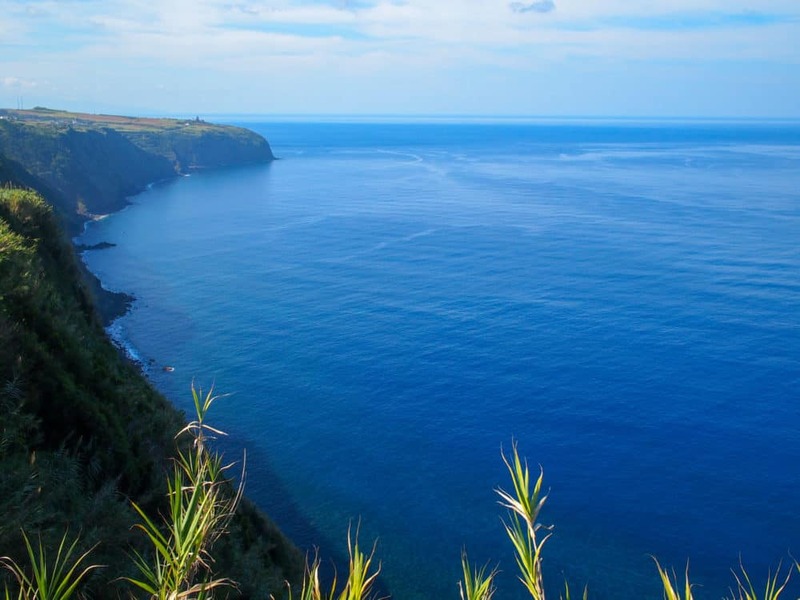 For a little group of islands in the middle of an enormous ocean, the Azores is surprisingly easy to get to. 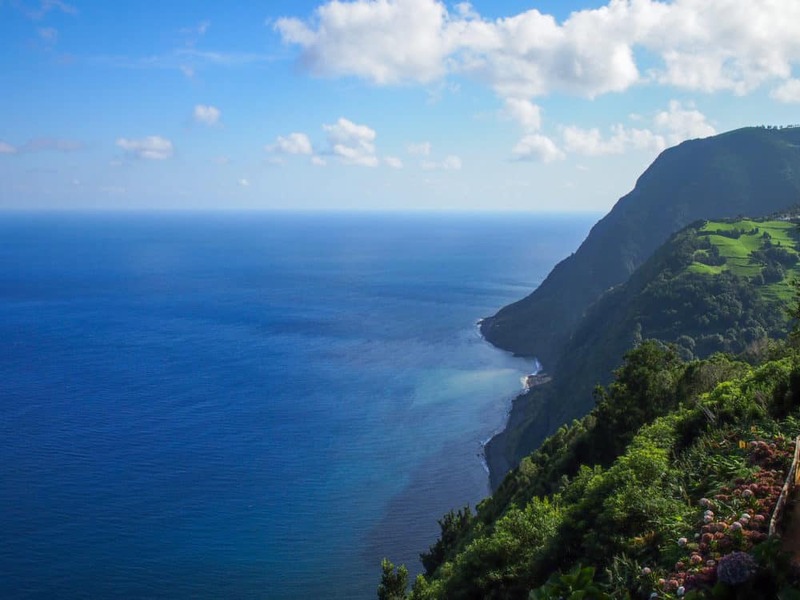 Azores Airlines flies direct to Ponta Delgada from airports in the eastern United States and Canada, Germany, and mainland Portugal year-round, with seasonal flights from London and the western US as well. 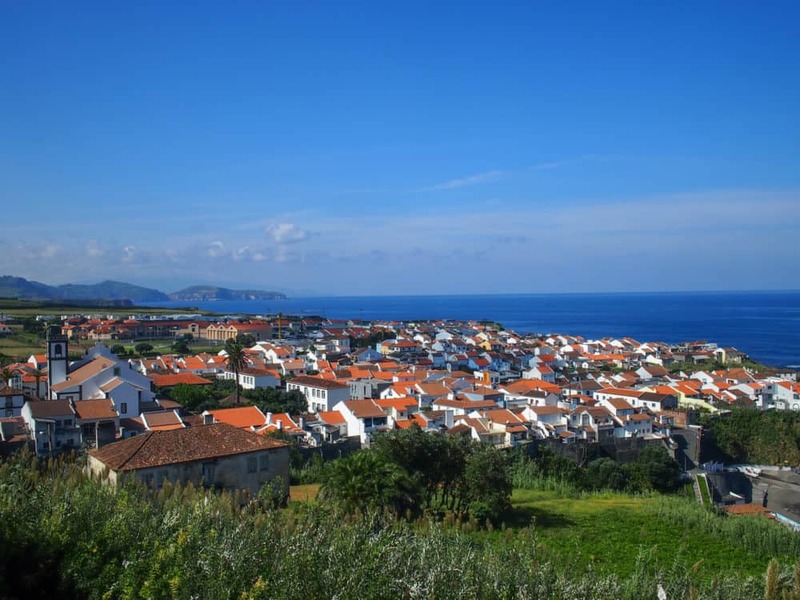 Even better, if you’re flying from North America to mainland Portugal, it’ll cost you nothing extra to add a multi-day stopover in the Azores. I paid under $300 one-way from Boston to Lisbon, including five days on the main island of São Miguel, and it was the cheapest way to get between the US and Europe at the time. 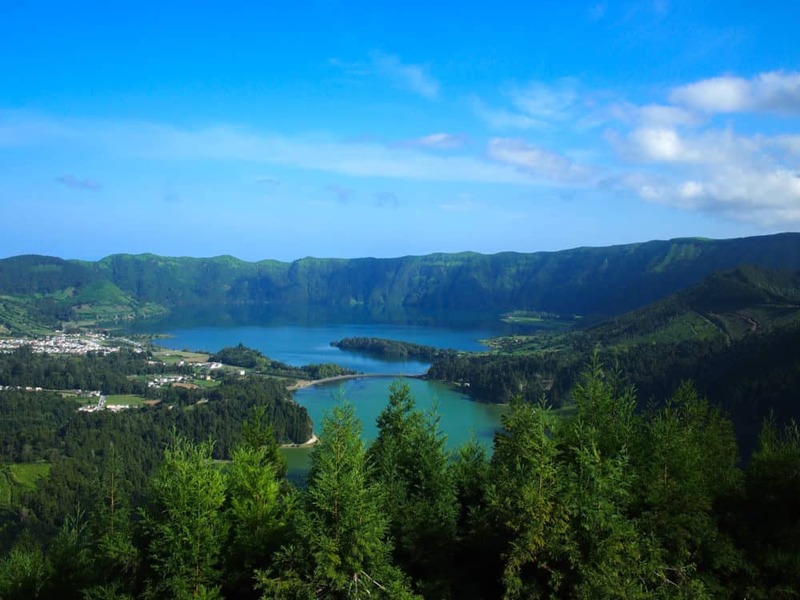 Ryanair, TAP Portugal, and Tui also fly to the Azores from various European destinations. 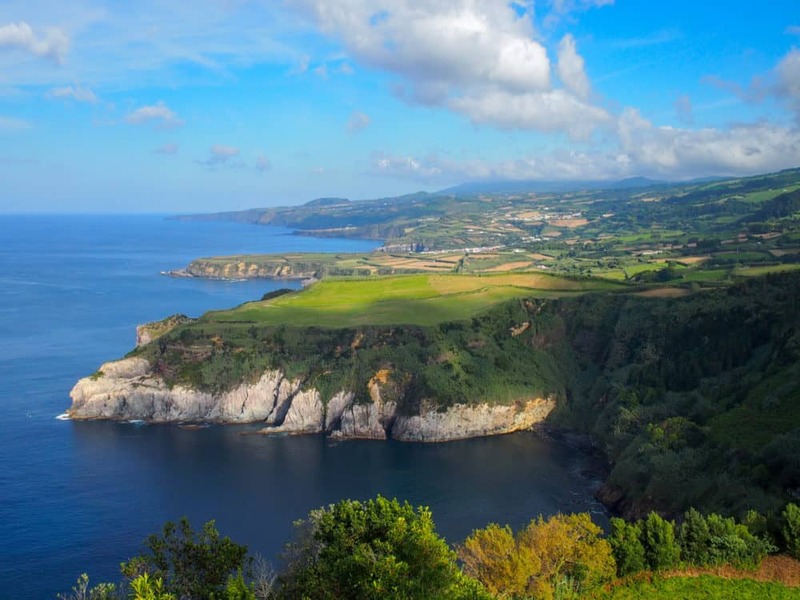 If you want to head to a different island in the Azores, SATA Air Azores (the domestic part of Air Azores) flies to them all from São Miguel. 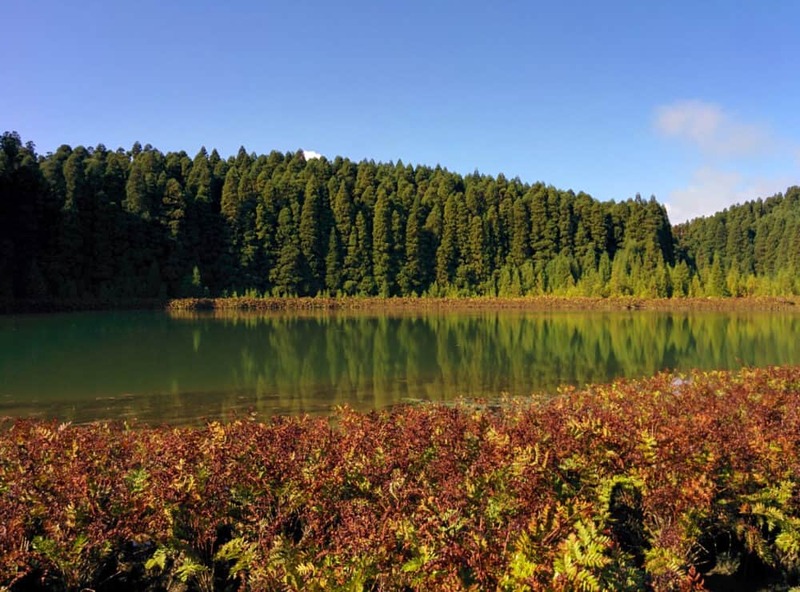 If you’re just planning to visit São Miguel, you’ll only need a few days, although they’ll be busy ones! We had four full days on the island, and it felt like just enough to see and do everything we wanted to. 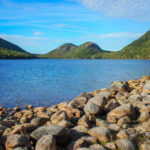 You can always make use of extra time, of course — there’s plenty more hiking for those who love to walk, or beaches and hot springs for those who don’t — but you won’t leave disappointed if you don’t have it. All of the other islands are smaller and less-visited, so two or three days to see any of them is about right. Don’t forget to factor in travel time, though. Although the flights between the islands are short, there aren’t all that many of them, and not all are direct. Ponta Delgada is the largest city, with the widest range of accommodation and restaurants. For shorter trips, it makes sense to base yourself there and explore different sections of the island each day, as per the itinerary below. If you’re on a budget, check out the well-regarded Nook Hostel and Azores Dream Hostel. They’re right in the heart of the city, and have both dorm bed and private room options. For mid-range travelers, I’d highly recommend the place we stayed, Azorean Urban Lodge. The owner, Miguel, is super-friendly and helpful, even waking up before the roosters to check us in after our early-morning arrival. There’s a full kitchen, a swimming pool to cool off in the afternoons, and convenience stores and restaurants just down the road. Our room, although spartan, was spotless, with a private bathroom along the hallway. Best of all? 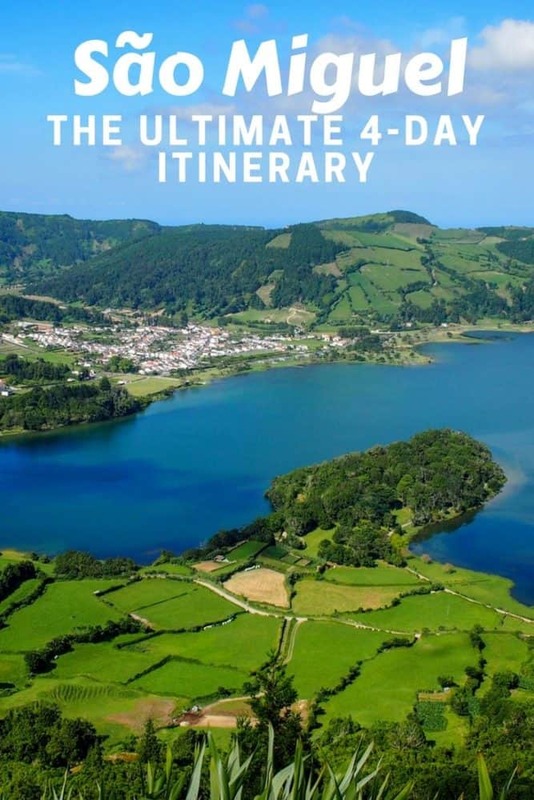 You get a free map of São Miguel, complete with hand-written notes of things to see, what to do, and places to eat, and it was invaluable in putting together our itinerary for each day. For higher-end visitors, both Urban Apart and Casa das Palmeiras get exceptional reviews. Getting around São Miguel is best done with your own set of wheels. There’s a limited public bus service between major towns, and tours that rush you around the major highlights if you’re short on time, but you’re far better off doing it yourself if you can. Several companies in Ponta Delgada rent both small cars and 125cc scooters, and I picked Rent-a-Car Auto-ramalhense based largely on the fact it was a ten-minute walk from my hotel. He was right on both counts. 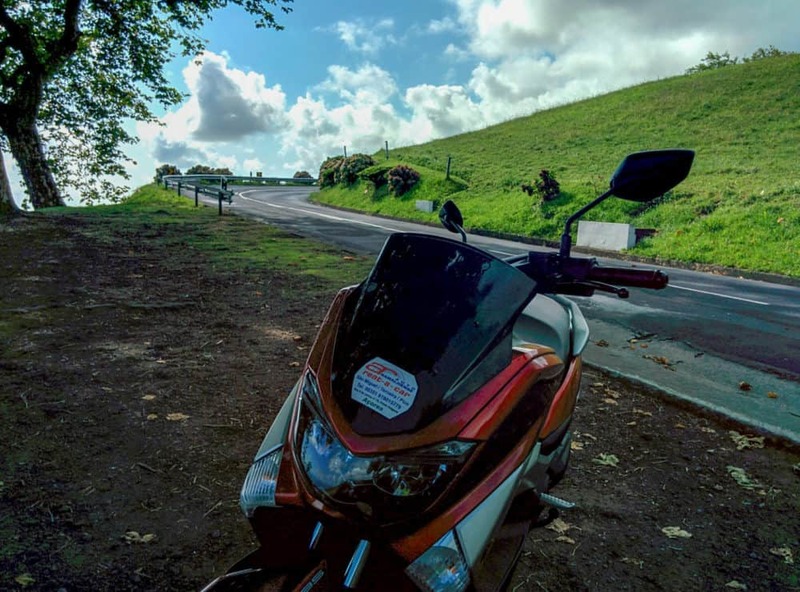 The riding was absolutely wonderful, with smooth roads winding along the water and through the mountains, and minimal traffic once outside Ponta Delgada. Although I have a motorbike license, the owner was more interested in ensuring I was over 25, presumably for insurance purposes. 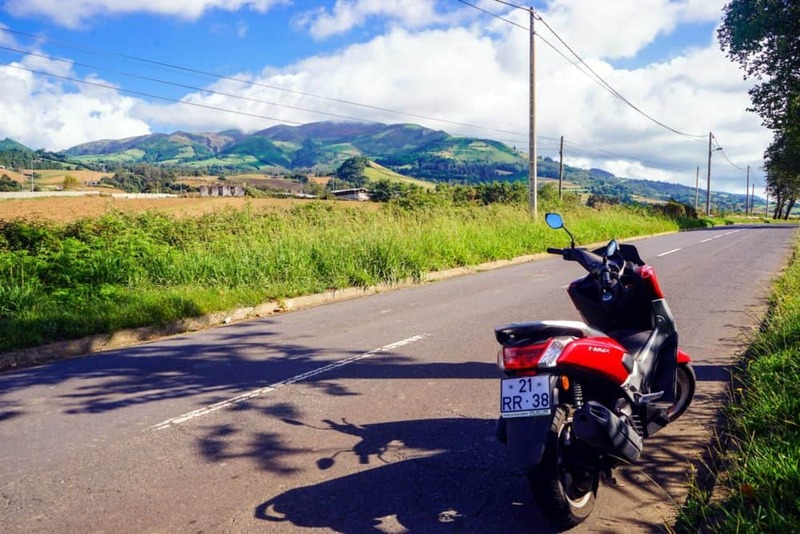 Regardless of the requirements, though, São Miguel’s steep, winding mountain roads, strong winds, and changeable weather mean it isn’t the place to learn to ride a scooter if you’re not already comfortable on one. If you’re planning to drive a car instead, don’t forget that most cars in Europe have a manual transmission (stick shift, if you’re American). That includes rentals, so if you need an automatic, you’ll probably want to book one in advance to ensure it’s available. Unlike the American family beside me who’d just realised that (a) the car they’d rented was a manual, (b) they didn’t know how to drive it, and (c) the company didn’t have any automatics left. I rode away to the sound of raised voices filling the morning air. No matter what you’re driving, make sure you’ve got travel insurance that covers you for it. 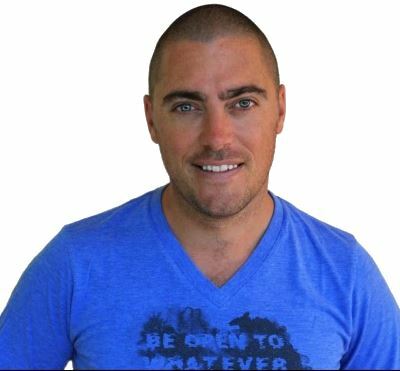 I’ve been using World Nomads for years. Note that although I’ve given a day-by-day itinerary, there’s no need to follow it in any particular order. The weather will likely play a part, and changes quickly in the Azores, so be prepared to switch things up in a hurry if needed! The maps below only show the main places mentioned in the text, and not the vast number of random stops at viewpoints, beaches, churches, cafes, on the side of the road, and everywhere else. 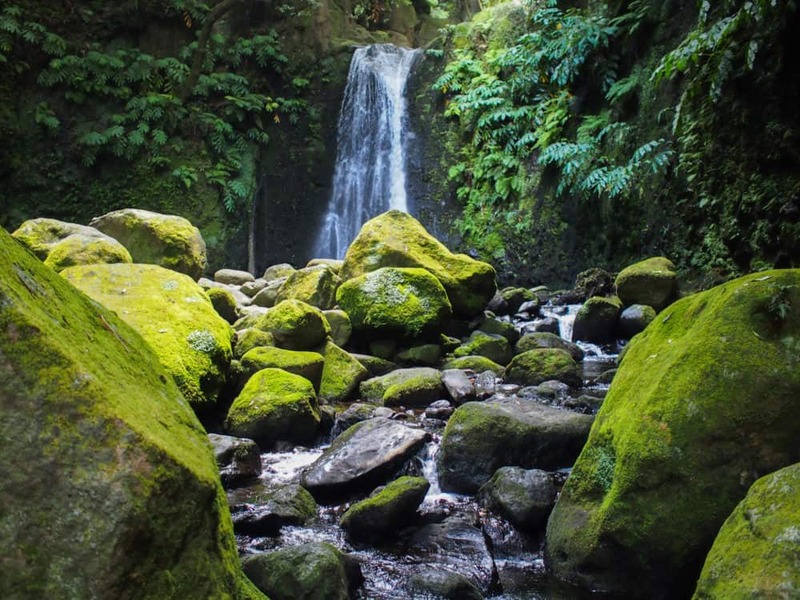 Expect to spend far longer than you planned exploring São Miguel! Like many cheap flights, our arrival time in Ponta Delgada left a little to be desired. Departing Boston at 9:15 pm, we touched down in the darkness shortly before 6 am, cleared immigration in about three minutes, and fell into one of the waiting taxis. We pulled up outside Azorean Urban Lodge shortly afterward, the first hint of dawn starting to show on the horizon. The owner had kindly agreed to wake up and check us in at that ungodly hour, and exhausted, we pulled on sleep masks and passed out until late morning. When we did finally get moving, we discovered Ponta Delgada was an attractive little city, at least downtown. There’s not much traffic away from the main road, with plenty of pretty cobbled streets, pastel-coloured buildings, and our first experience of the black and white churches that (as we later discovered) are a feature of every town and village on the island. 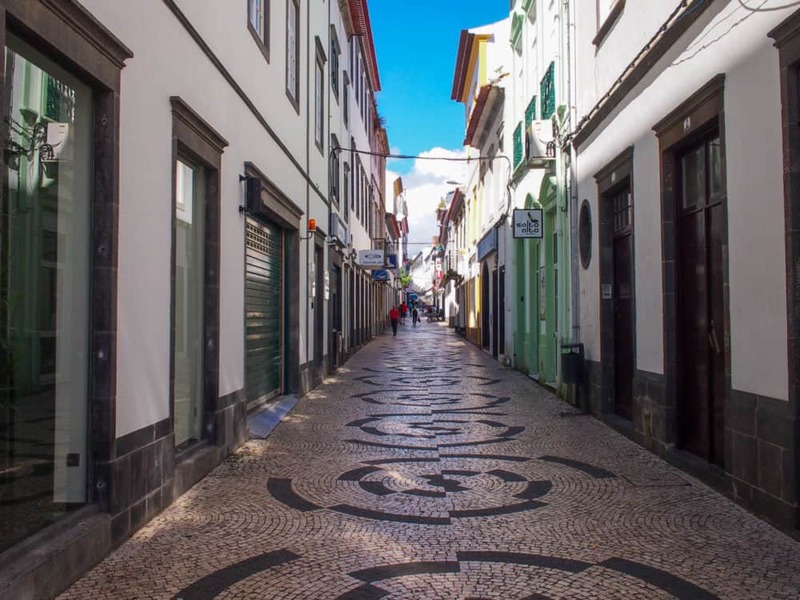 Ponta Delgada attracts plenty of cruise ships, so there’s the usual assortment of tourist facilities (bus tours, horse-drawn carriages, road-going tourist trains, and the like) designed to give an overview of the city in an hour or two. I’d suggest ignoring them all — the central area isn’t large, and you can wander around it yourself in half a day. Spend your money on a good seafood meal at the oddly-named, but excellent, Big21 instead. After grabbing snacks and picking up the scooter, we headed east out of Ponta Delgada. Google Maps will always try to take you along the main road, which loops around the entire island, staying near (although not on) the coast most of the time. Ignore Google Maps. That road often becomes a proper multi-lane highway, which is great if you’re in a car and in a hurry, less so if you’re neither of those things. It’s far more enjoyable cruising along the small secondary roads that run through the coastal villages and beside the beaches. Sure, it takes much longer to get anywhere… but that’s kinda the point on a trip like this. 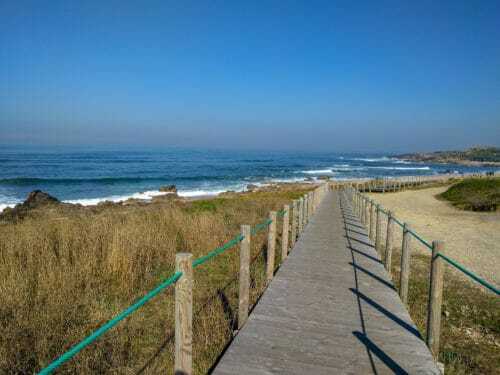 The first stop was at Caloura, where there’s little more than a small fishing harbour and a restaurant selling bifanas (sliced pork in a crusty bread roll) and small glasses of beer. Luckily, sitting in the sun beside the ocean, that’s exactly what was required. If there wasn’t a scooter calling my name from the parking lot, I’d probably have stayed there all day. We stuck to the coast as long as we could, before eventually having to join the main road to head inland to Furnas. Thankfully it had given up trying to be a highway by then, with just one lane each way and little other traffic to worry about. Perfect. After twenty minutes walking alongside the unexciting Furnas lagoon and checking out the funerary chapel of Nossa Senhora das Vitórias so that you don’t have to, we rode the rest of the way into Furnas itself. The town sits in the caldera of an active volcano — you can see the steam rising in the photo below — and locals make the most of it by burying food in the hot earth early in the morning. If you’re there around midday, you’ll see it being pulled back out of the ground, fully cooked and ready to eat. We couldn’t turn down an opportunity like that, so headed to Tony’s Restaurant, the most well-known spot to try the cozido das Furnas. It’s a big place, bustling even by the time we showed up around 2:30pm, with brusquely-efficient service, and portions big enough to feed a small country. Seriously, they’re ridiculously large. We ordered the plate for two, and shouldn’t have. If you’re going as a couple, order a single portion. Hell, if you’re going as an extended family, order a single portion. I thought I was hungry and yet left half the food behind. Between all those sausages and chicken, potatoes and pumpkins, poor Lauren didn’t stand a chance. It’s not the best food you’ll have on São Miguel — a bit dry and bland for my taste — but for ten euros per person, you can’t complain about the price or the novelty value. Cozido das Furnas. Not a small meal. Waddling back outside, I’m pretty sure I heard the bike groan as we climbed back onboard. Or maybe that was just my stomach. 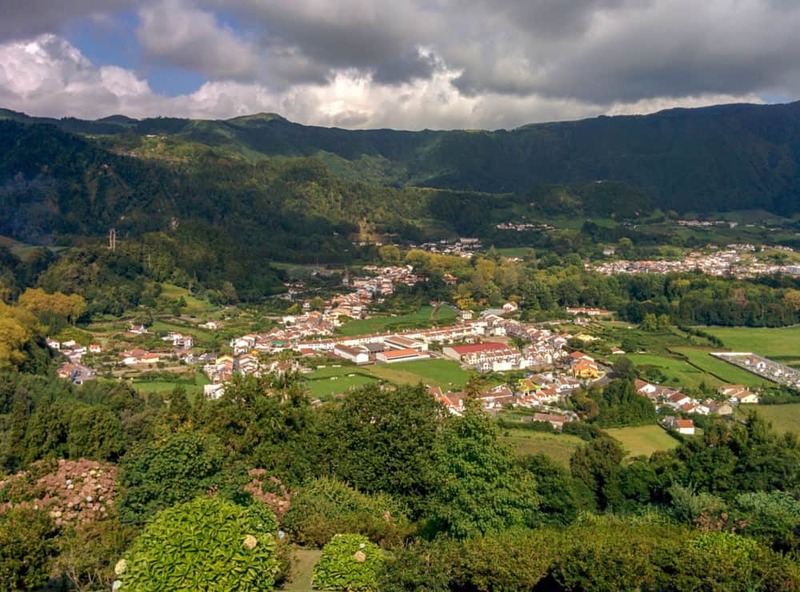 For a small town, there’s a bit to do in Furnas, and if you’ve got several days on São Miguel, it’d be worth spending a night there as an alternative to Ponta Delgada. The hot springs, both public and private in the hotels, are the biggest attraction, but there’s also a botanic garden, viewpoints and short walks, and even an upside-down “house” (read: electric substation). We weren’t staying, though. The route east held some of the best riding of the day, all switchbacks and steep mountain roads, with spectacular views that forced me to pull over about once a minute. That probably explains how the afternoon seemed to have slipped away by the time we got to Faial Da Terra. There’s not much to this little village, but it’s the starting point for the short-but-steep hike to Salto Do Prego. This waterfall is supposedly quite popular with tourists, but maybe that’s just by Azorean standards — there were only half a dozen other people around by the time we panted our way 40 minutes up the trail. Even heading towards evening in October, conditions weren’t exactly cool, but the hike was well worth a little sweat. In case you’re wondering, yes you can swim in that pool under the waterfall. If you like hypothermia. Returning to the bike took a bit less time, partially because it was mostly downhill, and partially because I’d realised we weren’t going to get back to Ponta Delgada before nightfall if we didn’t speed things up. It’s only 70km (45 miles), but still takes nearly an hour and a half in a car, longer on a scooter… and motorbikes don’t exactly have the brightest of headlights for navigating mountain roads. Still, since I wasn’t stopping for anything except petrol, the riding was even better on the way back, at least until that main highway into Ponta Delgada. Traffic got faster and busier close to the capital, and we got more and more windswept, but at least we’d got the timing right. With just a few minutes of daylight left, we parked up outside our hotel, eased ourselves off the bike, and headed inside for a beer. The next day saw us riding in the opposite direction, west toward some of the island’s most famous attractions. Just like the day before, the drive gets dramatically better once you clear the outskirts of Ponta Delgada and head for the hills. With tour buses clogging the carpark for Lagoa do Canário (Canary Lake) and Miradouro da Boca do Inferno (View of the Gates of Hell), we opted to skip past them and return later in the day. It was a good decision, as it turned out, as there was hardly anybody there on the way back. 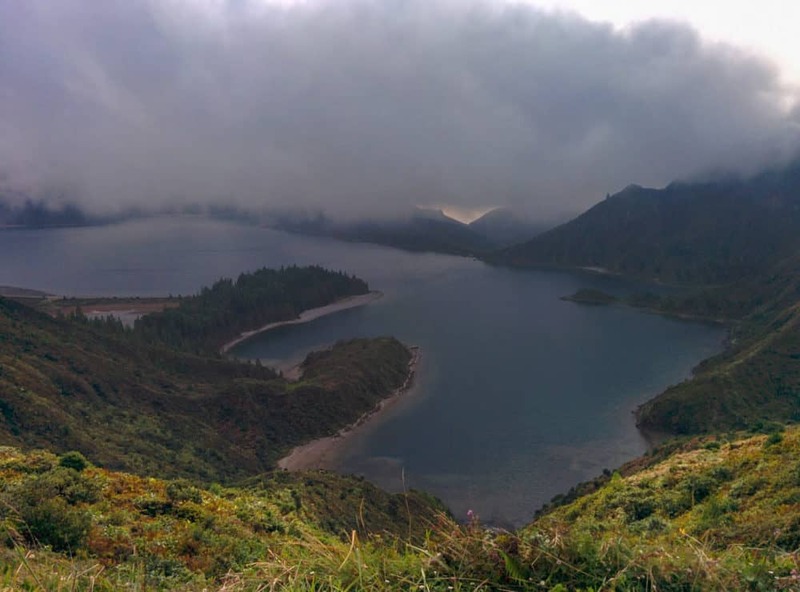 Instead, we headed straight for Miradouro da Vista do Rei (King’s View), overlooking the town of Sete Cidades and its twin lagoons. It’s probably the most famous point on São Miguel, and where we nearly made a big mistake. With cars, buses, and gaggles of tourists everywhere, it was tempting to just snap a few photos and leave. The view was good, sure, but little better than many other points along the crater rim that had no visitors at all. Before heading off, though, we crossed the road to check out the hulking ruins of the Monte Palace. 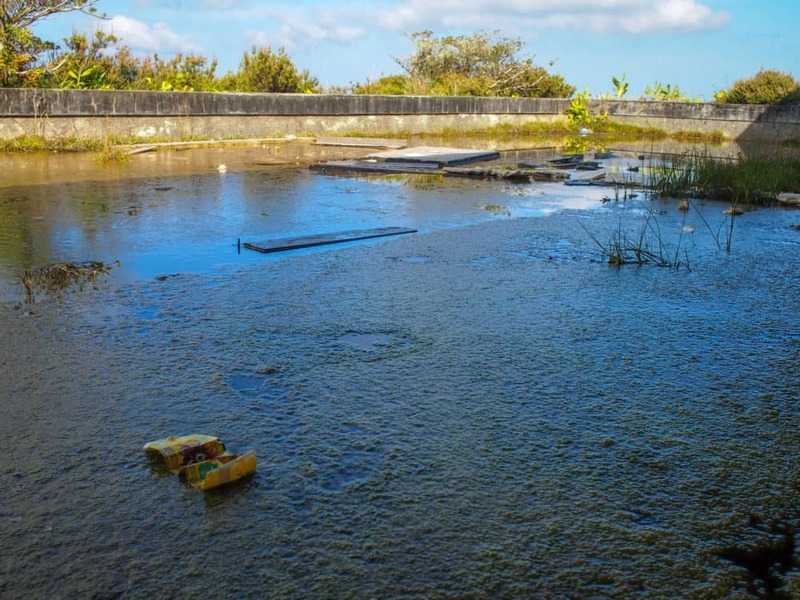 This five-star hotel opened in 1989, at a time when tourism to the Azores was just starting out, and the roads were far worse than they are today. Even worse, like many other parts of São Miguel, the area is prone to heavy cloud and rain, so the few well-heeled visitors who did manage to make it to the Monte Palace often got to sit in their room and not see any of the spectacular views they were paying a small fortune for. Shockingly enough, it closed less than two years later. For a long time, dogs and guards were employed to stop people like us from poking their noses inside. The money ran out a few years ago, though, and the looting began. Now, the inside of the building looks like the setting for a horror film… which is exactly what it was, at one point. It’d be boarded up and inaccessible in most parts of the world, but not here… yet. The place is a wreck, and there’s little that remains of the hotel’s former grandeur. Graffiti coats the walls, the ceilings have fallen in, there’s nothing left in the bedrooms, and several inches of slimy water cover part of the rooftop terrace. Rooftop terrace, you say? Yup. Just as we were about to leave, we found a staircase we hadn’t seen before. Right at the top sits a waist-high open window, which gives access to a roof with some of the best views on São Miguel — views the vast majority of visitors to the island will never see. 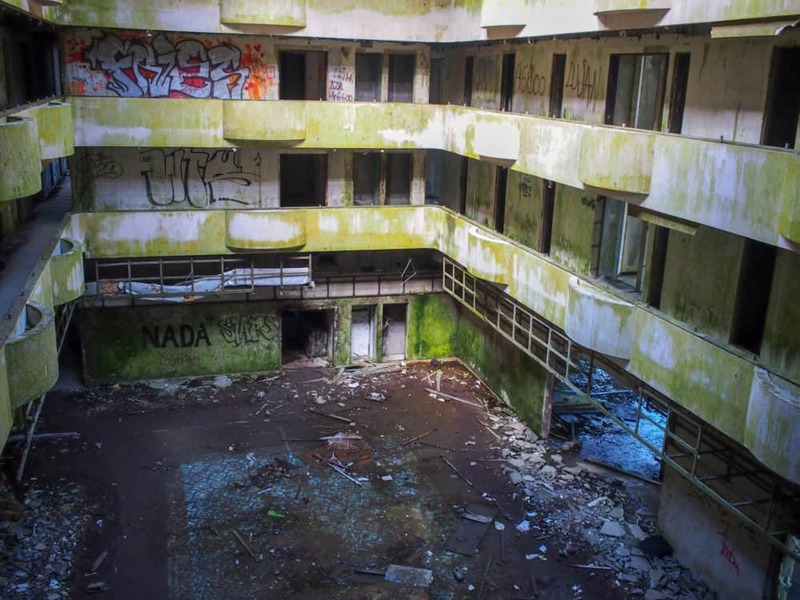 We must have spent an hour creeping around that abandoned hotel, and if I can give you one tip for your time on São Miguel, it’s to do the same thing yourself. Wear appropriate footwear, keep an eye out for hazards like empty elevator shafts (health and safety warnings are in short supply), and prepare to take a lot of photos. If you’re planning to explore the ruins of Monte Palace, though, you’ll need to do it soon. Chinese investors have reportedly purchased the site, with plans to return it to its former glory by 2021. Once construction starts, that’ll be the end of that. Soon, the only people on the hotel roof will be those who’ve spent a bunch of money to be there. The road down the crater to Sete Cidades is simply fantastic, and I was reluctant to hit the brakes halfway to check out the Miradouro do Cerrado das Freiras. For about three seconds, until I saw the actual view. Wow. Just… wow. If you don’t have a panorama mode on your camera, well, buy a new camera I guess. Slightly further down the road lies the Miradouro da Lagoa de Santiago, over the small green Santiago lagoon. The view isn’t as impressive as the one just before it (how could it be? ), but if you’ve got a bit of spare time and want to stretch your legs, there’s a steep dirt trail leading down to the lagoon itself. Crossing between the lagoons at the bottom, Sete Cidades looked a good spot to stop and grab a drink or snack, but we had bigger plans. That trusty map from our hotel hadn’t let us down so far, and when it recommended a particular restaurant on the west coast, there was no question about where we’d be having lunch. I turned the bike towards Mosteiros. The sun continued to shine, the road wound seductively onwards, and São Miguel kept turning on the charm. After devouring a couple of plates of grilled octopus while overlooking the ocean at Restaurante Gazcidla, we took the back roads south towards Ferraria. In theory this was to check out the natural hot-water rock pools beside the ocean, but really, it was just because the riding was so much fun, I wanted to keep doing it as long as possible. The steep switchbacks down to the carpark gave the scooter’s brakes a workout, but the black volcanic rocks and small hot pools didn’t hold our attention for long. It was time to head back to the lake and viewpoint we’d skipped over that morning… which thankfully also meant half an hour of spectacular roads back the way we’d come. On the way back to the main road, pull over to spend a few minutes at the pretty Lagoa do Canário. While it’s not jaw-dropping like many of the other viewpoints in the west of the island, it’s still a lovely quiet spot, at least when the tour buses have departed. And that, other than the half-hour return ride to Ponta Delgada, was it for day three. We’d packed a lot in, but because the distances were so short, still managed to get back to the hotel in time for a late-afternoon dip in the pool. Perfect! 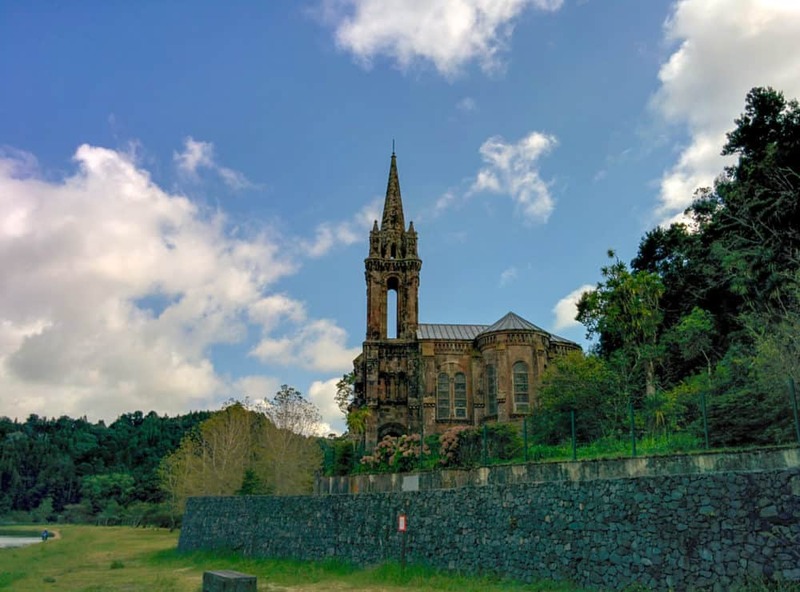 On our final full day on São Miguel, we returned to the east of the island, this time exploring the central and northern sections we’d left out earlier. While sun and blue skies covered the coast as we rode out of Ponta Delgada, I could see low cloud blanketing the mountaintops inland… which was exactly where we were heading. Fortunately there wasn’t any rain around, but the wind started to howl as we climbed higher, sending the temperature plummeting and the bike towards the side of the mountain. There’s nothing quite like riding up a steep, winding road with little visibility, getting colder by the minute while trying to anticipate where the next wind gust is going to come from. There are viewpoints all along that mountain road, and we stopped at them all, but the one we were aiming for was Miradouro da Lagoa do Fogo (Lake of Fire). The highest lake in the island, inside a volcanic crater, it’s absolutely stunning on clear days. This was not, in fact, a clear day. If you’re hoping for better photos (and warmer temperatures), keep one eye on the weather forecast, and the other on the mountains before committing to heading up that EN5-2A road. The weather changes so fast that there are still no guarantees, but it’s the best you can do. The clouds cleared as soon as we got off the mountaintop, and out of the wind, the temperature rose as well. We’d planned to check out the Caldeira Velha hot pools and waterfall on the way down, but the traffic jam of cars and buses all trying to park on the side of the narrow road put us right off. As with the Gates of Hell viewpoint from the day before, if you do want to visit, I’d suggest getting there early or late in the day to avoid the crowds. 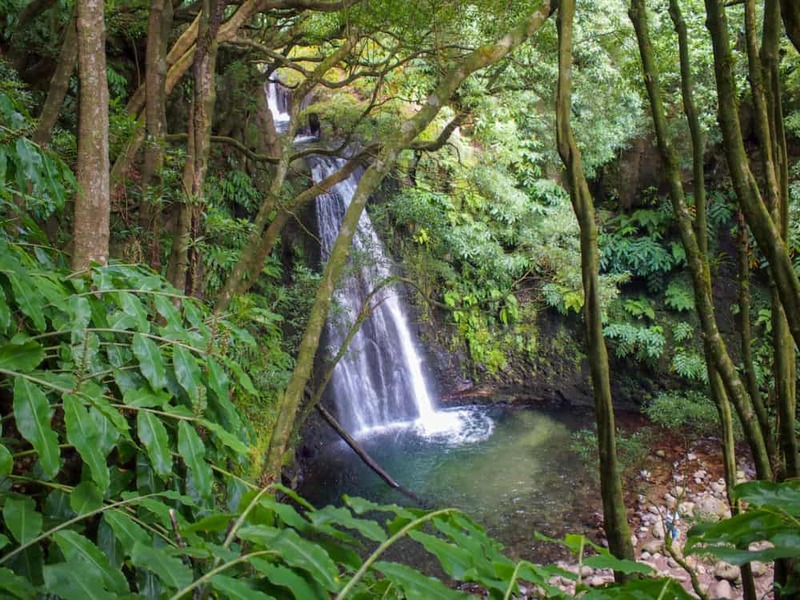 Instead, at the end of a rutted dirt road, lay the Salto do Cabrito waterfall. The last part of the road is quite steep and narrow, but it’s short, and manageable in any vehicle. There’s a carpark at the bottom, beside a small hydroelectric power station. You’ve got two choices at that point, either a few minutes along a gentle path and over a few large rocks to the base of the waterfall, or a short, steep climb up metal stairs behind the power station to see the falls from the top. 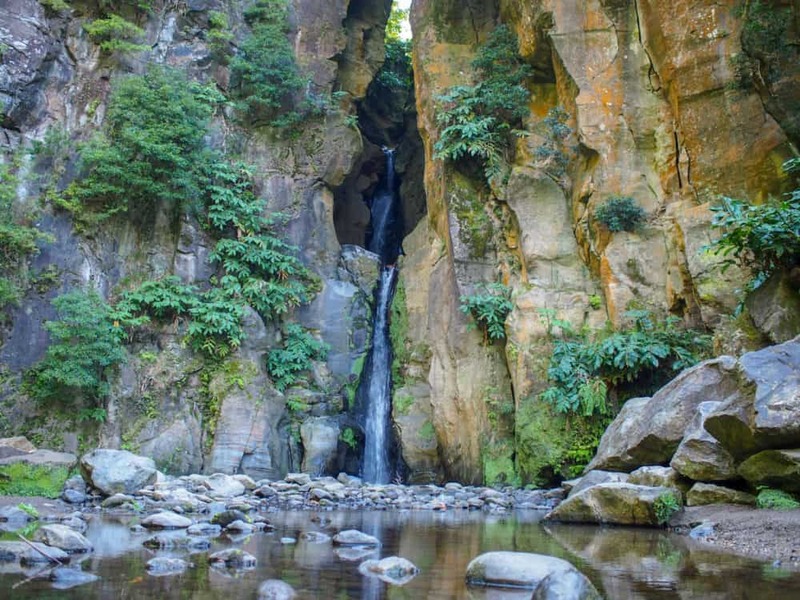 Both are worth doing, but if you want to cool off in the pools (or stand under the falls and get water-blasted), take the lower route. Having worked up an appetite with all that rock-hopping, it was time to head to the beach for lunch. I’m suspicious of anywhere claiming to have great burgers, even more so when that claim comes from a simple restaurant in a tiny village in the middle of nowhere, but the owners of the beachside bar in Moinhos really weren’t lying. The burger was truly excellent, and the empty beach and gently rolling waves sealed the deal. Highly recommended. And that’s when the day got random, in the best possible way. We didn’t have a set plan for the afternoon, beyond just continuing east. The highway runs that way, of course, but again, why take the highway when there are other, smaller, squigglier options on the map? It was by far the best riding we did the entire trip, some of the best I’ve ever done. Narrow, cobbled streets ran through tiny villages, old men lifting a hand to wave from the shadows as we clattered past. The colours repeated — white houses, red roofs, blue sky, green hills — but the views changed ever so slightly over the ocean. That part of São Miguel doesn’t see big tourist numbers anyway, and there, away from the highway, we didn’t see any others at all. From Porto Formoso to Maia, Lombo da Maia to Salga we rode. They’re little more than smudges on the map, but they’re some of the prettiest towns on the island, with spectacular views in between. The road continued on through Santana and Nordestinho, and we did the same, before finally pulling into Nordeste, the main town in the area, mid-afternoon. On the highway, in a car, you could apparently drive that route in half an hour if you didn’t stop. We’d taken over two hours to get there, stopping dozens of times, and the beaming grins on both our faces definitely showed which was the better option. We should probably have turned around that point, to make for a leisurely ride back to Ponta Delgada. 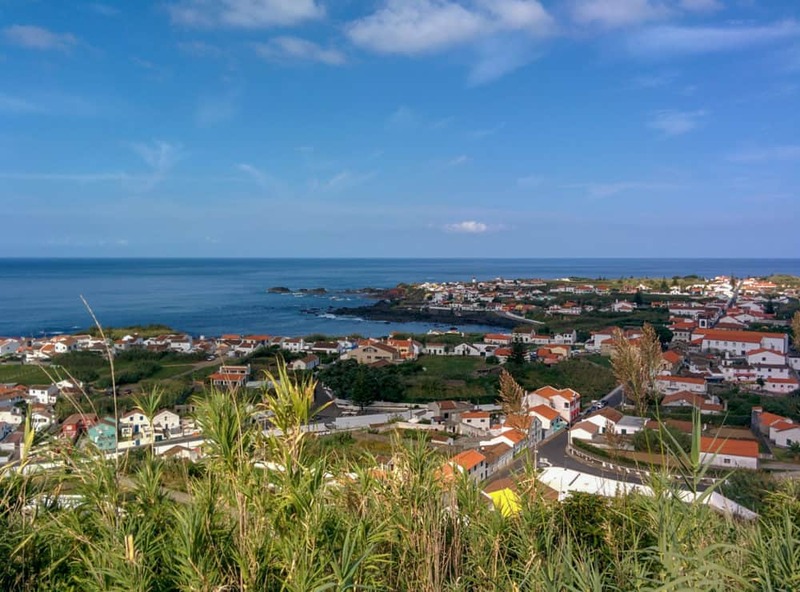 Instead, we carried on the extra 15 minutes to the rolling gardens and clifftop views of Miradouro da Ponta do Sossego, at what felt like the end of the world. With just a little more time we could have completed the loop and returned via the southern route from day two, but still, it seemed a fitting place to turn around. That last little section meant we were once again running out of daylight, and once again relegated to the highway on the way back. I couldn’t resist a quick break halfway at Miradouro De Santa Iria, though, not only to take a rest from the wind and vibrations, but also because, well, it looked like this. Focused on lunch, we’d skipped it on the way past that morning. I’m pleased we didn’t skip it on the way back. I’ll be honest, I was absolutely blown away by my time on São Miguel. I loved the food, the beaches, lagoons, mountains, and waterfalls, and relaxed pace of life. The roads and riding were some of the best I’ve experienced anywhere in the world, but even if you’re in a car, you’ll never be disappointed by what lies around the next bend. 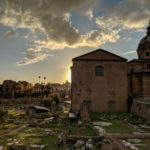 My accommodation in the capital was truly excellent, the tiny towns and villages were jaw-droppingly beautiful, and other than that windswept hour crossing the mountains on the final day, I even had an unusually-settled run of good weather. There was very little not to like about the place, and I’ve been raving about it to anyone who’ll listen ever since I returned. 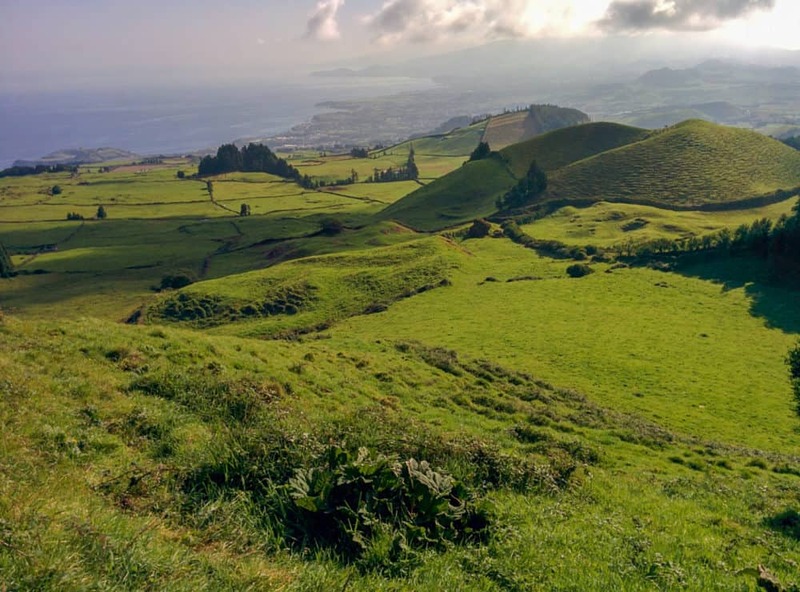 If you’ve even been considering a trip to the Azores, I’d highly recommend taking it. Add it as a layover on your next trans-Atlantic flight, or treat it as a holiday destination in its own right. I promise you’ll love it. 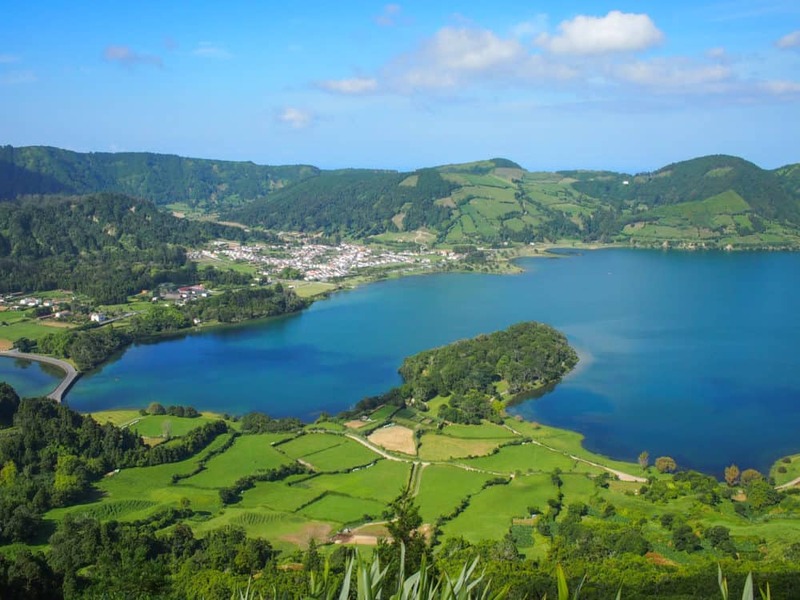 Have you been to the Azores yourself? What did you think of it? We absolutely loved the Azores! You need more like a month so you can check out at least 5 of the different islands. Each island is so unique. We landed on the shortest runway in the world in tiny Flores, and we even got stranded on that island during a big storm. Yep, totally agree. This was just a taster due to that handy layover option, but we’re already making plans to return for longer to check out the other islands! Well that looks absolutely nothing like what I had expected the Azores to look like! How simply stunning! 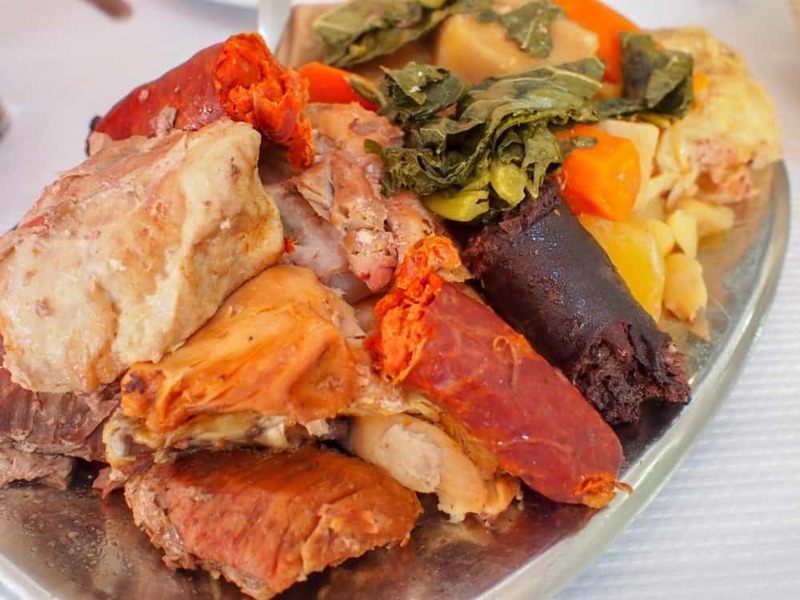 The Miradouro do Cerrado das Freiras is my favourite – great picture! I have! I spent 10 days on two islands Nov 2016, like you no one hears about this amazing cheap destination. I definitely plan to go back. 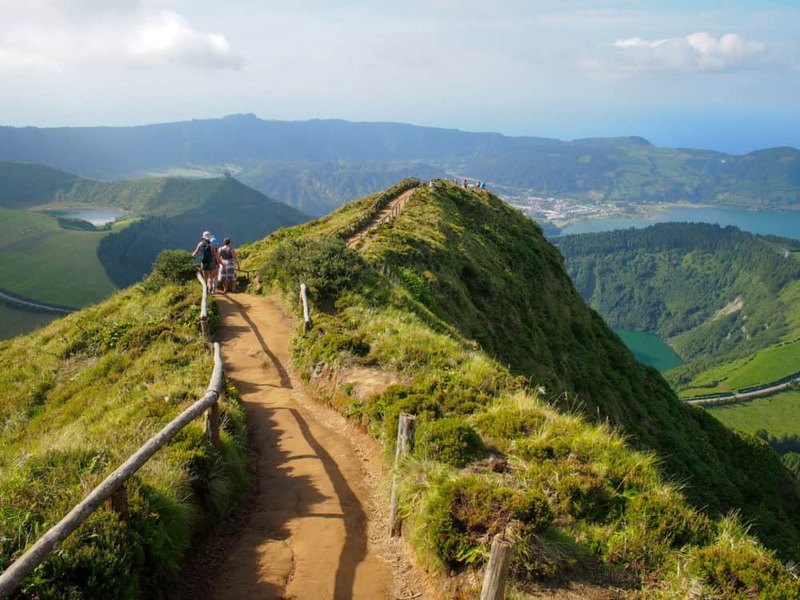 5 days on Sao Miguel and 5 on Pico, where I climbed the volcano. There is great coastal hiking on both islands and I liked seeing the difference between the two places. VERY well written, thoughtful, and mature post. This is very much appreciated over the 20 something insta princesses taking pics of themselves looking off into the distance in AAAALLL of the high traffic tourist areas.